“No gags, no girls, no chance of success.” – A producer after seeing Oklahoma! The Sound of Musicals. By Ruth Leon. Oberon Masters Series/Oberon, 128 pp., $20.95. Leon focuses on original productions and avoids delving into the interpretations of musicals mooted in revivals and movie versions. She doesn’t quite convey why critics regard Sondheim so highly when many people find it hard to sing any of his songs except “Send in the Clowns.” And while she says she has selected titans that “changed the way we think about musical theater,” she ignores the seismic effects rock musicals like Hair, Grease and Jesus Christ Superstar, the ancestors of all those jukebox productions like Mamma Mia! and Jersey Boys. But Leon excels at describing the themes of her chosen shows, or what they are “about” on a deeper level than that of plot. “Guys and Dolls is an inverted morality tale, growing out of Damon Runyon’s close-up knowledge of the streets of New York, and a fable with a point – that good and evil certainly exist, but not necessarily in the places we have learned to look,” she writes. Oklahoma! “appears to be about whether Curly or Jud is going to take Laurey to the picnic,” but that’s just the story line of the show: “What it’s really about is what it means to be American, what the poet Carl Sandburg called ‘the smell of new-mown hay on barn-dance floors.’” Leon’s willingness to grapple with such themes is an increasingly rare virtue as theater reviews become ever-more plot driven. 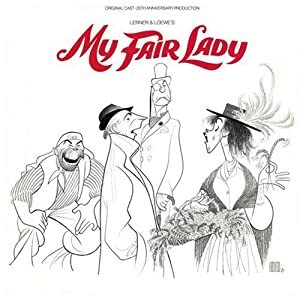 This book may be an appreciation great musicals, but it is also a model of good theater criticism – an art form as endangered as the Broadway musical. Worst line: “Across 400 years Shakespeare continues an ongoing dialogue with those who perform his plays and can tell them, if they will listen, exactly what he wants from them.” True, but that “continues” makes the “ongoing” redundant. Published: 2010 (Oberon Books hardcover edition). Furthermore: Leon is a columnist for Playbill who has written theater criticism for the European edition of the Wall Street Journal and other publications. Man With a Blue Scarf: On Sitting for a Portrait by Lucian Freud. By Martin Gayford. With 64 illustrations. Thames & Hudson, 256 pp., $40. Fewer painters might complain if they had interpreters as intelligent and forbearing as the British art critic Martin Gayford. 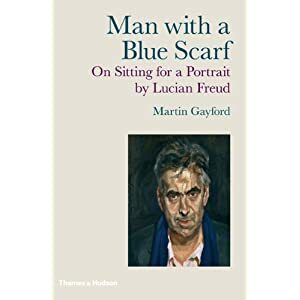 Between November 2003 and April 2005, Gayford spent about 250 hours posing for an oil painting and an etching by Lucian Freud, whose ego appears to rival the late Norman Mailer’s. The experience fell “somewhere between transcendental meditation and a visit to the barber’s,” at least if your barber knew Garbo and Picasso and after trimming your sideburns, wanted to have champagne and caviar with you at a high-toned London bistro. Gayford appears to have relished the sittings even as they became an endurance test. Freud sat him in front of a black screen for the Man With a Blue Scarf and made him keep posing after the head was finished and only the space around it remained to be filled it. He told Gayford: “The picture is absolutely about what your head is doing to that screen.” Freud drove himself as he did his sitter. In his early 80s, he was still painting standing up, working 10 hours a day, on five or six portraits at a time. Gayford shows a Boswellian refusal to troll for flaws in his subject’s work or character, and his book tends to reinforce Robert Hughes’s argument that Freud is the greatest living realist painter. But Man With a Blue Scarf, if flattering, isn’t hagiography. Gayford holds his fire elegantly, and his ability to do so appears heroic, not sycophantic, given that if he had not, we would clearly not have the first book-length account of sitting for a major artist since James Lord’s A Giacometti Portrait in 1965. Art history would be richer if every great painter did a portrait of a critic who wrote about the experience. Many questions linger about the making of this memoir. To what degree is the book authorized? Did Freud see the manuscript and request changes? How did Gayford reconstruct conversations that took place when he couldn’t have been holding a notebook? Whether or not the answers ever emerge, Man With a Blue Scarf is a fascinating study in the “remorselessly intimate” process of being painted. During the sittings, Gayford spent more time with Freud than with anyone except his wife and children. “I’m not sure whether it is filling a hole in my life,” he admits, “but it is enthralling.” For all the cabin fever that the sittings must have involved, Gayford makes you see why the process was thrilling. Worst line: Freud says Picasso was “no more than 5’ or 5’ 1’” and that much of his attitude toward life was affected by his being small. But Picasso’s height is often given as 5’4”, and Gayford doesn’t explain why he quotes a different figure. You don’t know whether he agrees with Freud or doesn’t want to correct him. Caveat lector: The review was based on an advance reader’s copy. Some material in the finished book may differ. About the author: Gayford, the art critic for Bloomberg News in Europe, was the art critic for the Spectator and Sunday Telegraph. He talks about posing for Freud in an Acoustiguide recording used with a Museum of Modern Art exhibition of Man With a Blue Scarf and the etching made soon afterward, Portrait Head. Furthermore: Lucian Freud is the grandson of Sigmund Freud. Robert Hughes wrote the text for Lucian Freud: Paintings which provides useful background for Man With a Blue Scarf. Janice Harayda is a novelist who has been the book editor of the Plain Dealer in Cleveland and the book columnist for Glamour. You can also follow Jan (@janiceharayda) on Twitter at www.twitter.com/janiceharayda. This post first appeared in 2007. Mystery and Manners: Occasional Prose. By Flannery O’Connor. Selected and edited by Sally and Robert Fitzgerald. Farrar, Straus & Giroux, 256 pp., $15, paperback. Most people associate the Georgia-born Flannery O’Connor with novels and short stories, but she was equally good at nonfiction. She proves it in this elegant collection of essays on life, literature and peacocks, birds that captivated her. Other comments on and quotations from Mystery and Manners appeared on One-Minute Book Reviews on March 12, 2007, “Flannery O’Connor on ‘Compassion’ in Writing” and March 21, 2007 “Flannery O’Connor on the Purpose of Symbols in Fiction.” O’Connor’s editor, Robert Giroux, comments on the critics’ response to her work in the March 4, 2009, post “The Writer Is Insane.” The quote came from Brad Gooch’s new biography, Flannery: A Life of Flannery O’Connor, lucidly reviewed by Jonathan Yardley in the Washington Post. 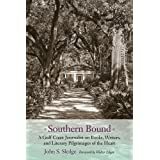 This is the third in a series of daily posts this week on Southern literature. Tomorrow: Peter Taylor’s Pulitzer Prize-winning novel, A Summons to Memphis. One reason why my favorite collection of capsule film reviews is Pauline Kael’s 5001 Nights at the Movies: Expanded For The ’90s With 800 New Reviews (Holt, 960 pp., $35, paperback): Kael begins her comments on a 1969 Hamlet with, “Bearded, and with a nasal twang, Nicol Williamson is a surly Hamlet.” Hamlet with a nasal twang: what else do you need to know? Earlier this month I wrote about Edward Hirsch’s shortlist of his favorite baseball poems, which appears in Poet’s Choice (Harcourt, 2006), a collection of his columns on poetry for the Washington Post. That book also has ideas for those of you who would rather read poems about basketball today. Hirsch recommends William Matthews’s “In Memory of the Utah Stars,” Quincy Troupe’s “Poem for Magic,” Garrett Hongo’s “The Cadence of Silk” Yusef Komunyakaa’s “Slam, Dunk, & Hook” and Marisa de los Santos’s “Women Watching Basketball.” He also likes B.H. Fairchild’s “Old Men Playing Basketball,” the text of which appears in Poet’s Choice. For more on Hirsch, a winner of the National Book Critics Circle Award for poetry, click here www.poetryfoundation.org/archive/poet.html?id=3173. Part of the fun of having a blog like One-Minute Book Reviews is that you can rarely predict which posts will be the most popular. Often reviews I expected to have little appeal — and almost didn’t write — end up among the Top 10 on the site. A case in point is Baseball Haiku (Norton, 2007), a book of American and Japanese haiku about baseball edited by Cor van den Heuvel and Nanae Tamura. From the start I liked everything about this book — from the high quality of the poems to their thoughtful introductions and handsome packaging. But Baseball Haiku sat on my shelf for weeks. I wondered if by writing about it, I might be trying to thread too small a needle: How many people would want to read about a book of baseball poems, none with more than 17 syllables? My review of Baseball Haiku appeared on the morning after the 2007 World Series and at first attracted only modest traffic www.oneminutebookreviews.wordpress.com/2007/10/29/. Like a pitcher recalled from the minors, it blazed back at the start of the 2008 season and has since ranked often among the Top 10 posts. What are some of the best baseball poems in forms other than haiku? You’ll find answers in a lucid essay on baseball poems in Poet’s Choice (Harcourt, 2006), a collection of popular columns written for the Washington Post Book World by Edward Hirsch www.poetryfoundation.org/archive/poet.html?id=3173, the poet whose many honors include a National Book Critics Circle Award www.bookcritics.org.